Meal delivery services are all over the place now and you may have noticed the majority of them have introductory offers to drag you in. Well, I am one of those people that love taking up these offers to trial them and see if they are as good as they claim to be. Now I have reviewed Gousto meal subscription box which you can check out here, so it was about time that I checked out the meal subscription service Hello Fresh and see what they offer. Hello Fresh caught my eye a while ago but every time I checked the website for upcoming meals, the majority of them I did not fancy and at the time you were unable to select what recipes you wanted. After you pick your box you can change what recipes are being sent but only up to a certain time and for only the 3 meal box it seemed. This is not great because we have a child that has an allergy to fish so we need to be able to select recipes ourselves to make sure nothing with fish in is being delivered. We enjoy being able to share these meals with Mabel and Martha because we find the meals for 2 people are of a generous portion size so making it clear about preferences and being able to choose meals myself is a must. There are 3 different options you can choose from, Classic, Veggie and Family boxes which hopefully means there is something for everyone. The downside is that although the Classic allows you to pick up to 5 meals, the Family box you can only pick up to 4 meals and the Veggie box up to 3 meals. To get the most out of this I opted for 5 meals for 2 people which usually costs £48.99, which to be fair is a really good price for people who are busy or just need convenience to fit into their lives, but with an introductory offer, I only got it for £22.05. Wow! The meals I received were (in order of photos) Creamy Chicken Linguine, Teriyaki Beef, Honey Mustard Sausages, Ksar Char Bagh Moroccan Beefburgers and Butterflied Chicken. Each recipe I found to be quick and easy to make, but it is all about taste. As a family we really enjoyed each meal and because they came with recipe cards I can go out a buy the ingredients myself to make again. 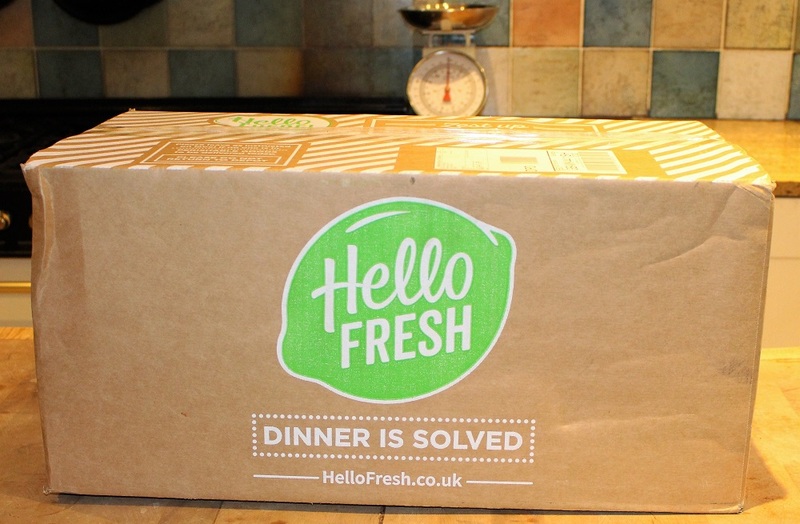 Hello Fresh I think is worth a go especially because of the introductory offers that are on at the moment. If you’re quick they have one for 50% off your 1st box. I suggest picking a week that is busy because it will really help knowing that there will be food in the fridge to make a meal. I can’t wait to try some more of the recipes and will be buying another box in the future.